Ed Lu wants to save the world. In a talk Thursday at the University of Hawai‘i, the former astronaut recalled looking at the moon while he was aboard the International Space Station. Its craters were dramatic visual evidence of the number and size of the asteroid impacts the moon had sustained. Lu knew that the more massive Earth is hit by asteroids even more often than the moon, although the evidence of those collisions is obscured by water, weather, and vegetation. We know with a fair amount of confidence how often asteroids hit the earth. In the next 100 years there’s about a 30% chance that the planet will be hit by a “city-killer” asteroid like the one that exploded over the remote Tunguska River region of central Russia in 1908. That asteroid exploded with a force about 500 times greater than the nuclear bomb dropped on Hiroshima. If an asteroid that size were to hit a city or a densely-inhabited area, it would kill millions of people. There’s about a 1% chance in the next 100 years that the planet will be hit by an asteroid 20 times the mass of the Tunguska asteroid. An asteroid that size would hit with about five times the explosive force of all the bombs—nuclear weapons included—used in World War II. And there’s a 0.001% chance that in the next 100 years we will be hit by an asteroid large enough to wipe out human civilization entirely. So Lu proposes that we save the planet ourselves. His B612 Foundation—B612 is the name of the planet that was home to Antoine de St. Exupéry’s Little Prince —is working toward launching an infrared telescope designed to survey the asteroids that approach Earth’s orbit. 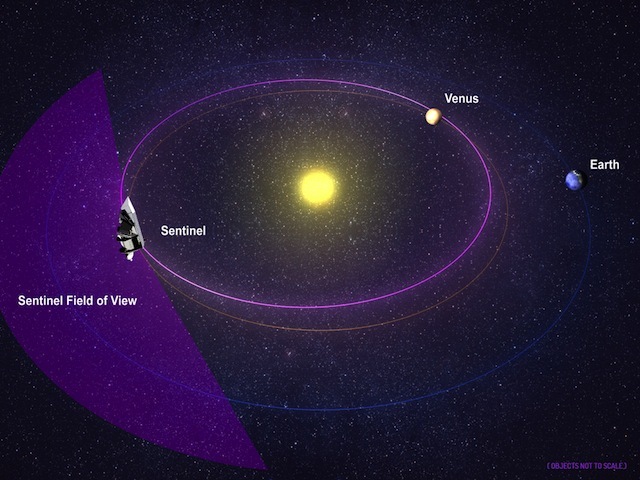 The Sentinel telescope would orbit the Sun near Venus and look for the infrared light emitted from asteroids warmed by the light of the Sun. The B612 Foundation aims to raise $250 million so it can build the telescope and put it into orbit in 2018. It would be the first privately-funded interplanetary mission, although a number of the major ground-based telescopes were funded with private money. As Lu says, $250 million is comparable to the amount of money a museum might raise to build a new wing. Links to books I recommend, review, or cite are Amazon Affiliate links. I receive a small percentage of any purchases made through these links. 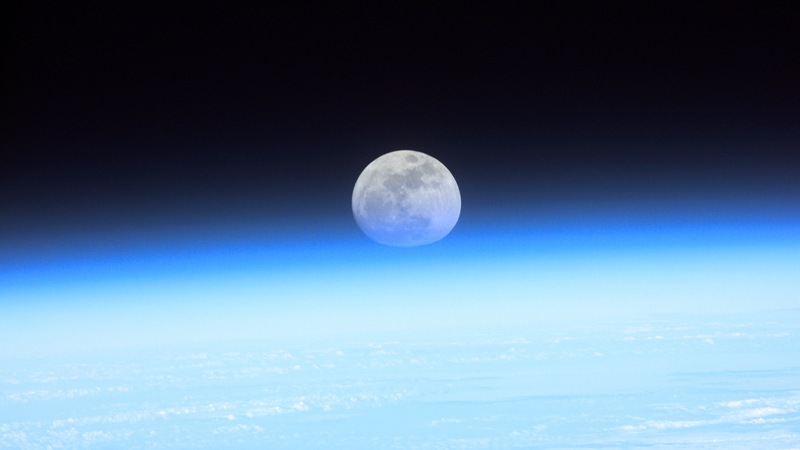 Image of the moon seen from the Space Shuttle Discovery courtesy of NASA. Sentinel orbit diagram courtesy of the B612 Foundation. This entry was posted in Existential Risk and tagged asteroids, b612 foundation, ed lu, nasa, nathan myhrvold, planetary defense, sentinel mission, tunguska event, university of hawaii. Bookmark the permalink. Have We Reached the Limits to Growth? Can the Human Race Survive?